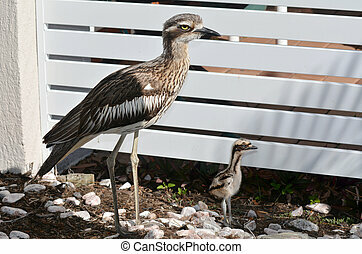 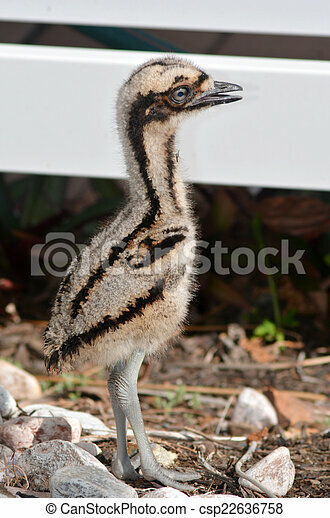 Bush stone-curlew chick in gold coast queensland australia. 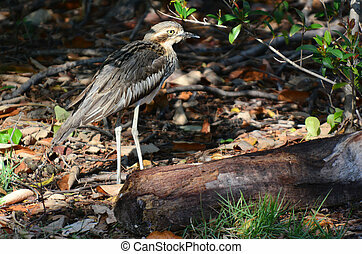 Bush Stone-curlew in Gold Coast Queensland Australia. 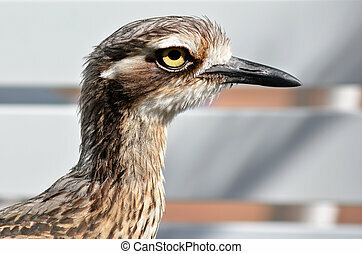 Bush Stone-curlew closeup in Gold Coast Queensland Australia. 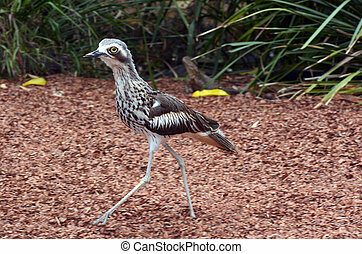 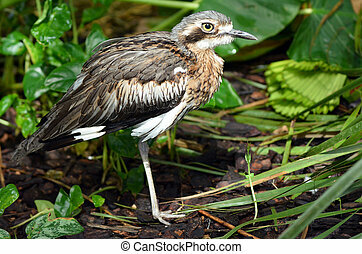 Bush Stone-curlew in the rainforest of the tropical north of Queensland, Australia is a large ground-dwelling bird endemic to Australia.